If you are looking for a camera-based security system for your home or business, choosing a CCTV camera installation is a great option. The closed circuit television cameras are convenient and easy to use. After you have purchased your security system, make sure to choose from the best Boyton Beach CCTV camera installation companies to ensure that your camera system is installed properly. There are a lot of options for security systems. You could hire live security guards, but for most homes and businesses the cost isn’t feasible and typically this level of security isn’t necessary. You can also install alarms and lights. These both work well when paired with cameras. Cameras provide visual proof that your property is safe, and sometimes that tangible proof that everything is okay is the best type of security to have. We offer one of the most affordable CCTV camera installation services in Palm Beach County, Florida. Depending on the size of your property and the type of the viewing system (DVR, digital recording) you can grab excellent prices on closed circuit options. Additionally, if you move or change business locations, it’s a relatively easy process to pack up and transfer this type of security system. Other, more complicated, alarm systems may be difficult and expensive to transfer to a new location. When you choose from professional CCTV camera installation companies in Boyton Beach, Florida you can rest assured that your installation will be quick and easy. All you have to do is order the right CCTV for your business or home and we’ll do the rest. At TechPro, we know that time is money and we don’t want to waste your time or your money. 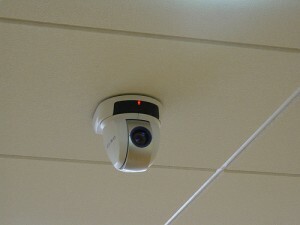 CCTVs also offer the benefit of allowing the owner to view recordings immediately or at a later date. You can even opt to keep tabs on your security from your mobile device. Simply download our app, set up your account and log in whenever you want to see what’s going on. You can check your system from home or when you are out of town for a meeting. We offer several types of cameras so you can have the convenience of a closed circuit system with the feel and look you want. Your professional Boyton Beach CCTV camera installation companies can install your security system in a snap. Closed circuit security systems are easy to use as well. Your video can be set to record to discs or an online storage. You can even opt to have a camera set to record only when it senses motion. This can cut down on storage space and electricity. Once your system is hooked up, you can easily access recordings and change settings so you get what you need, when you need it. Even if you don’t have a rash of vandals in the neighborhood, your closed circuit television can provide a record if someone causes problems at your home or in your business. These types of videos are typically admissible in court. You can use video recording an employee stealing property or vandals decorating the back of your business to get justice and repayment for damages. When you choose affordable CCTV camera installation companies in Boyton Beach, Florida, you aren’t just investing in a camera. You are investing in the safety of your business and your employees. Criminals are less likely to strike if they know they are being recorded. 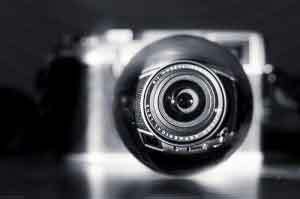 Your Boyton Beach CCTV camera installation companies can make sure your cameras are installed properly so that if a thief takes that chance, you’ll have a record you can use later. Security cameras are a cost-effective method to keep thieves and vandals at bay. If you’d rather keep your recording secret, you can opt for smaller CCTVs so you can record deviant behavior without those in question noticing. This is ideal for cases of repeated problems on a property. Choosing a closed circuit television system is a simple way to make sure your property, family and/or business is safe. Don’t just hire anyone to help install your new system. A good security system works all the time and works well. We offer CCTV camera installation services in Palm Beach County, Florida. We know the product and our skilled technicians know how to make sure your security is fully functioning so you can rest easy. For more information about CCTV camera installation companies in Boyton Beach, Florida call us at 866-573-8878.